Metro by T-Mobile and Alcatel today announced the 1X Evolve, an update to the compact Alcatel 1X from earlier this year. The phone has curved, 2.5D Dragontrail glass on front and a soft suede finish on the rear. The phone features a 5.34-inch display with a 2:1 aspect ratio and minimal bezels along the outer edges. The 1X Evolve has an 8-megapixel camera on back and a 5-megapixel camera on front. Camera tools include Alcatel's Social Mode for editing and sharing, Social Square for previewing images on half the screen, and Instant Collage for merging photos into shareable collages. The 1X Evolve is powered by a quad-core processor and supports T-Mobile's 600 MHz (Band 71) spectrum for better LTE 4G performance. It packs a 2,460mAh battery and ships with Android 8 Oreo. 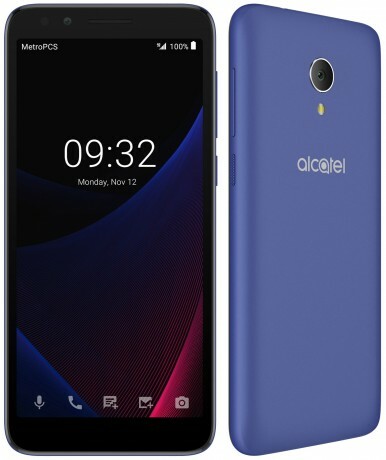 The Alcatel 1X Evolve reaches Metro stores on December 10. Pricing was not immediately disclosed.